Last week (maybe the week before, the weeks merge during the winter) I wrote a post on how, as dog trainers who promote non aversive methods, we need to be at the top of our game so that clients see that they are getting results quickly. Today I wanted to write a little about the flip side of that argument and that dog trainers are not miracle workers nor do we have magic wands or pixie dust. In my experience, most problem behaviours and training issues can be turned around very quickly, very often in the space of one session, and we can see the dog’s behaviour starting to improve. This is just the start of the process and it needs to be continued, consistently until your dog is reliably behaving the way you want them to. Take recall for example. I find recall training of dogs fairly easy for the bulk of the dogs I train. 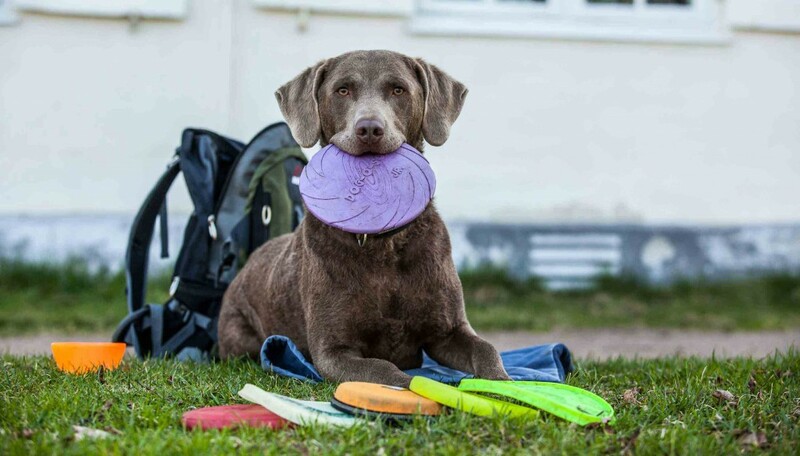 This not because I have some mystical ability with dogs, I try to find what the dog likes whether it is food or toys and use it a lot during training. When I say a lot, I mean all the time. This now becomes your daily routine with your dog when you are at the park. You play with your dog rather than letting him off lead to run around with other dogs. You see, it’s not that difficult, we just need to do it, changing our behaviour a little to get the results we want. This is the case with a huge proportion of the dogs I work with in the majority of problems from recall and loose lead walking to aggression and reactivity. We just need to do the right thing, do it consistently for a few days/weeks until the dog has enough of a reinforcement history of that behaviour. Then we get to the more difficult cases. These are dogs whose unwanted behaviour is either so ingrained or that they are so stressed that we have huge difficulty in helping them. This is not to say that it can’t be done, but that it takes a long, long time. I had a very scared and stressed dog who came to see me a few years ago, I tried everything I could think of before finally recommending that the client go to the vet to see if there was some sort of pharmacological help which could be given. I spoke to another very experienced trainer who said “I hope they have a big garden” meaning as far as he could see from what I told him, the most humane solution was to exercise the dog away from the public. I’ll give you some more examples from my experience to illustrate. A client comes to me with a dog aggressive terrier. We meet at the park, go through changes in lead handling, use of long lines, good use of distance, reinforcing good behaviour, preventing unwanted behaviour from occurring or interupting it when it does, safety of her dog and others. She ways to me “this is nothing like the way I walk my dogs though”. My reply to that was, “And how is that working for you?”. We need to change our own behaviour in order to change the dog’s behaviour, we can then gradually, in many cases, shape back to the type of walk we want, but this won’t happen overnight. A client comes to see me for recall with his collie. We have a great session, the dog is recalling well under distraction very quickly and we reinforce with loads of play. Two days later, I see him working with another trainer on recall. It’s totally cool that he does that, it’s his choice but we got a good result in our session, I think he was just looking for a magic technique which required him to do no work. Unfortunately it doesn’t work like that. A couple come to see me recently with a large dog who pulls all the time on the lead. I ask all the relevant questions during the initial phone call. The dog has been trained using an e-collar, a head collar and a choke chain. The problem isn’t that their dog pulls on the lead, it’s that they have zero relationship with their dog, and that their dog doesn’t actually want to spend time with them. Compounding the issue is the fact that the dog is so stimulated by the outside world that he has no attention span. He’s a long term project for the owners, which I explained but they didn’t come back to see me. Again, it’s their choice and right to do so. I see a post on a local FB dog training forum asking for help to find a trainer for their dog. The post states they have worked with several trainers in the past but to no avail. I had been to see her and knew a few of the other trainers who had seen her also. We all gave similar advice, she just didn’t follow it. We don’t have a pixie dust which can solve every problem. The client lives with the dog, we can only show you what to do. Lastly, I work with a very difficult dog, again, unable to concentrate on the owner outside. I give him advice about how to build some sort of connection with his dog. The week later I post on my FB page a blurb about a similar dog. This first client asks the second one if they have any advice on how to change the behaviour as he is having similar problems. I responded, yes, do what I suggested you do last week. Living with difficult dogs is hard. Some days are better than others. When we have unrealistic expectations, it leads to frustration, anger and resentment. When we have these feelings, we are never going to be able to change our expectations and this is unfair on our dogs. Since Watson came to live with us in April, she has made massive progress. But progress is not linear and I have to remind myself of this constantly. Her behaviour tomorrow may not be as good as it was today. So tomorrow I will do with her what she is capable of doing. I try to be mindful of this when I’m working and being with Watson. She is not today who she was yesterday, so I need to concentrate on today. It’s not always easy but each month see significant improvements and I delight in all the cool and amazing stuff she does on a daily basis. She is wonderfully friendly with visitors, is content and relaxed in the house, travels well in the car, learns loads of stuff very quickly and is great fun the majority of the time. It’s been a massive leanring curve for us this year with her, but I’m glad she’s here. Tony Cruse is a dog trainer and the owner of Tc Dog Training based in Essex. He is a member of The Association of Pet Dog Trainers and The Institute of Modern Dog Trainers, and the author of ‘101 Doggy Dilemmas’. Tony works on training and behaviour on a full-time basis. “How do I stop my dog jumping up?” It is difficult to rectify an issue without first identifying the cause. Dogs do things for a reason. For example, a dog who is jumping up at people has incorporated it as part of his greeting. Why? Because he is saying hello, just as dogs do…face to face. Jumping may have also become rewarding if it has been previously acknowledged. Fussing and even shouting ‘no’ or ‘off’ can be seen as attention! Once the cause has been established, we can train a simple, do-able solution. The jumping dog can be taught to sit first. When sitting he gets his desired reward, which is to say hello! Simple solutions work. Consequences are vital. Work towards what you want your dog to do and reward that behaviour. You can use treats such as sliced hotdogs, low-fat cheese or even your dog’s daily meal quota as a reward. Try and arrange each training situation so your dog can’t fail and doesn’t practice mistakes. For example, don’t allow access to the sofa if you are teaching him not to jump on it. Instead make his bed or a mat, super-rewarding for him to lie on. Never scold, reprimand or physically punish your dog for what you may consider ‘naughty’ or ‘bad’ behaviour. More problems usually develop as a result. It is likely your dog doesn’t understand what is required because he has never been shown, he doesn’t understand, isn’t motivated or he’s anxious. Instead, look to work on an alternative behaviour. Is he jumping up? The dog is the boss. How, by giving your dog a choice and control, giving it a better life. I have always felt awful about controlling the lives of my dogs. Being the one deciding what to eat, when to pee, where to play – well, just about everything! Therefore I try to give my dogs a choice, in as many situations possible. Instead of always telling them what to do they get to choose where to walk, what to eat, when to play and what to train. The results are remarkable! I can see happiness and self confidence growing in my dogs like never before. They are less stressed and they handle challenging situations and changes better. There is a notable difference in decreased unwanted behavior and increased wanted behavior. My theory is that when dogs feel they have control over their own lives, they in turn have a better life. Just like we do. Ralph, Mini American Shepherd 4 years, loves to romp around the forest, mainly to search for squirrels, I am certain. In the forest, as we get to a split on the path, before he would wait for me to give him directions where to go. Instead, one day I stopped, looked at him and said: «You are The Boss!». As soon as he looked one direction, I would turn that way and start to walk. The first couple of times I did this, the look on Ralph’s face was puzzled. But as I repeated the routine every time we came to a split, and as he grasped the new game, the disbelief on his face turned in to joy, his tail rose high and off he would go. He seems to prefer to choose the smaller paths, probably because that is where the wild animals travel, and he is tracking down more squirrels than ever before. It is quite obvious he is enjoying the walks much more, and he will actually choose by himself when to turn back home, exhausted, with his tongue dragging on the ground. Not only is Ralph happier, I enjoy the walks a lot more as well! Ralph has taken me to parts of the woods I have never seen before, the most secluded areas, and we will never again be bored following the same old paths, because every day is a new adventure. Ralph finds the most exciting paths on his own. In this video you can see how Ralph makes the “right” choice in dificult situations. girl and the dog. Now he knows he has a choice. Rat, Mini Pinscher 11 years, is the most food motivated of my dogs, therefore she gets to choose what food she wants for dinner, or what treats she prefers to work for. I simply present her with 2-3 options, placed in closed containers, and say «You are The Boss!». She sniffs them and after making her choice marks the one she wants the most. When training I can give her this option several times during a session, she sometimes chooses to swap for something new, and sometimes stays with the same. What I find so interesting is that she does not always chose the same out of the two options, she seems to enjoy the variation. Bug, Griffon Petit Brabançon 2 years, is the most play motivated one, so when playing she gets to choose from a basket of toys. I say «You are The Boss!» and she gets to pick her favorite. We play tug of war, fetch or search games together, and if she wants to swap she will simply go and get a new toy. I vary the collection of toys in the basket, so there will always be “novelties” for her to choose from. All of the dogs get their choice in the activities above, and they most certainly have their own preferences. Therefore I also set up «You are The Boss!» sessions when they get to choose if they want to train, what they want to train, if they want to go for a walk, if they want to play, cuddle or chew on a bone. Beforehand, I prepare different types of gear in different cupboards or boxes. One cupboard contains stuff for Service Dog training, an other cupboard contains toys for Memory games, one box keeps harnesses for tracking a second one chewy bones, and so on. During these sessions they get to choose what activity they want to do, one dog at time. They know what to expect because I will pull out a certain training mat, ask the dog in charge to sit there and then say «You are The Boss!». Rat will most often go and mark the cupboard with service dog training or the chewing bone box. Ralph will alternate between sitting on the doormat, which is the signal for going for a walk (squirrel!) and he also really likes playing memory games. Bug is young and sort of likes everything, so she will choose wildly and surprise me often, as do all of them. There is no way, with any certainty, that I predict their choices. Since I first wrote this article, I have later on learned about this beautiful training on teaching dogs to answer your question with Yes or No. Now I use it all the time! Read more about why and how in this article by Jennifer Arnold. The dog can easily get confused if you are not clear on when they get to choose or not, so it is important to have consistent routines. Vary where you take your walks and let your dog be the boss on only one of them. Ralph gets to choose where to walk only in the morning when we are in the forest. In the afternoon it is always Rat who is the boss and we slowly walk the neighborhood on a lead, read pee-mails and follow the neighbor cat around. The evening walk I am the boss and we train recall, contact and cooperation. The most fascinating changes in our lives using the «You are The Boss!» concept is that, in so many situations when NOT training, I learn what my dogs prefers to do. Instead of just doing what I ask them to do, they now show me what they prefer to do. After a couple of weeks using this concept, Ralph showed me that he does not like to be in his cage when it is placed at the back of the car. By refusing to jump in when I opened the cage, and instead walking up to the side door where he preferred to be, I moved the cage to this new location and now he happily jumps into the cage again. Bug showed me that she prefers to lie next to Rat in the car, rather than in her own cage. Since Rat seems to be fine with this, they are now keeping each other warm and company. Rat often shows me where she wants her bed in the house. By simply sitting down on the floor where the sun is shining or by the heater and looking at me intently, she makes it clear to me where it is nice and warm for an elderly body. All the dogs show preferences on what kind of harness, or collar, they want to wear and they also get to choose when to wear clothes if it’s cold outside. They seem to prefer the water bowl placed elsewhere than in the kitchen (I do not know why!) and they prefer room temperature water over cold water directly from the tap. Maybe this frisbee feels better in the mouth? – You have based your relationship with your dog on mutual respect and positive training methods. – You are consistent on when, and where, the dog gets to be the boss. – You have already trained your dog in self control, cooperation and recall. – You continue to train your dog in self control, cooperation and recall. – You have an independent dog, you let the dog be the boss only in secure situations. – You have several dogs, you let only one dog at the time be the boss. – You are cool enough to trust your dog being the boss. It is still I, who decides when my dogs get to decide to be the boss. They are still one hundred percent dependent on me to get the resources they need. Therefore I have no concern regarding loosing so called leadership or, as I rather call it – cooperation. On the contrary, I’ve experienced that my dogs respect me even more after introducing this concept. Less situations occur when they do things I do not wish for, and they seem to trust me more since I rarely ask them to do things they do not like. Depending on the needs and preferences of your dog and your daily routine, choose when and where it suits you to let your dog do the “You are the Boss!” concept. Perhaps you can find even more situations when your dog gets to be the boss? you have extended this concept beautifully and practically. In fact, you give me ideas for some things I can do with my dear old dog Nick. We walk together a lot, but being a creature of habit, *I* tend to choose our “usual” routes. So I’m going to experiment with letting him decide where to wander. I’m always happy to post good content for both trainers and owners alike. Tony is a fellow IMDT trainer (he was one of my assessors) and he has kindly given me permission to post his article. I’ll be publishing one of his articles each fortnight. You may have heard that line used in dog training classes. But ask yourself…is praise alone a sufficient reward for what your dog had just done? Let’s look a little deeper into what a reward is and why we need to reward when training. The word ‘reward’ is defined as, ‘a thing given in recognition of service, effort, or achievement’. But a reward should also be reinforcing, which means the reward, which follows the dog’s behaviour, should maintain the response in future and/or make it more likely to occur. If a ‘sit’ is rewarded correctly, the next time you ask for a sit, it will not only be performed by your dog but it could occur quicker. Often we select a reward we believe the dogs wants. If you’ve had a good week at work and your boss gives you a bunch of flowers and you are allergic to flowers…would that make you work as well next week? Your boss believes it’s a reward! What if he presented you with your favorite bottle of wine? Similarly, many dogs are not ‘tactile’ which is noticeable because they back off from physical praise. This means the recall that you have just fussed your dog for will unlikely to be repeated and may not improve. Food is a necessity and most dogs enjoy eating, why not use it to reward? Also, unclipping the lead can be a huge reward; it’s opportunity to go off sniffing and romping. You could request a sit or a down and then reward it by unclipping. I have heard of an owner who carries a grooming brush because her dog loves to be brushed. After a good recall, she pulls it out and brushes him. Use what your dog enjoys to reward good behaviour. Are you using a decent reward? Get to know your dog and have a think about your dog’s favorite things. Use them as rewards and your training will improve! Tony Cruse, Tc Dog Training. Building reinforcers – using classical conditioning to increase the value of food. Super sciencey (I know sciencey isn’t a word) this time. Dave is an 8 month old Border Collie who comes to me with Andy for weekly training. Because Andy wants to do loads of training (very commendable) with Dave, we need to be able to use numerous thing to reinforce Dave’s good behaviour. Dave loves to chase the ball, but this means we can only resonably expect to reinforce 3-4 behaviours a minute because the ball chasing reinforcer takes time (this then limits the amount of behaviours we can reinforce in a session). 1. In the presence of the ball outside, Dave is uninterested in food. 2. Dave is uninterested in kibble indoors when training, especially in the prescence of higher value food. We are looking to increase the value of the kibble as a reinforcer indoors and the value of the hotdog as a reinforcer outdoors. Protocol – we click as Dave has any interaction with the kibble in the presence of higher value food reward. Even if he catches it and spits it out, we click and treat the catch. The catching of the food is also part of the reinforcer, we make this a game in itself. And so on. By teaching kibble eating as an operant behaviour and reinforcing it, we then increase the likelihood of kibble eating. This way, we are able to use the his daily allowance of kibble for training, something we couldn’t previously do as he wasn’t interested in it during training. To take it outdoors, we go back to the start, yet replace the kibble with high value food reward and the chicken/hotdog with a chase of the ball. Eventually, we will be able to use kibble, chicken, hotdog and chasing the ball as reinforcers outside which will allow us to do more work with him in a session as he gets older. 1. Dave sometimes has a sensitive stomach and too many “treats” can upset his stomach. 2. Dave eats the kibble readily at mealtimes, just not during training. 3. Andy wants to train Dave as a hobby, so we can use Dave’s daily allowance of food as part of it. 4. Dave is fixated on the ball outside and this limits how we can train him, the food will allow us more flexibility. In the previous week, Andy has been working hard teaching Dave that kibble eating is a “clickable” behaviour. Dave is now up to eating 25 pieces of kibble in a row from Andy’s hand. In this video, we are testing to see if Dave will continue to work for kibble even when the chicken/sausage is on the kitchen work top. He wouldn’t previously have done this. The definition of a reinforcer is anything which increases or maintains the intensity, duration or frequency of the preceding behaviour. As you can see from the video, Dave continues to work for the kibble throughout the training session. We have successfully introduced kibble as a reinforcer. Last point. At this early stage, we use the kibble to reinforce previously trained behaviours, as seen in the video. As we all get better with this, we will be able to use kibble to reinforce new and less well behaviours. Dog training – the how is as important as the what. I recently watched a video someone had posted on a training forum which I contribute to occassionally ( I don’t know why I do this, it’s bad for my blood pressure). The video shows the owner putting a sandwich on the floor in front of his dog and the dog doesn’t eat it. The dog is also wearing a prong collar. This looks like a cool trick/behaviour which he has trained his dog to do (or not to do). For me though, knowing how this man trains his dog, how he advises others on the forum (basically the prong collar is the first port of call in dog training and use it for near enough everything), the training is really not that impressive at all. The result might be good to view, but I’d have preferred if he had shown the process by which he achieved the result. We can achieve results in a variety of ways but for me it’s as important, or maybe in some cases even more important, how we get the results with our animals than the results themselves. Yes, we all want quick, effective results with the minimum amount of effort. Sometimes that isn’t realistic and we have to compete against an e-collar trainer or an old school yank and crank trainer who might offer fast results. But at what cost? The dog owning public is horribly ill informed, through no fault of their own, as to what works best and quickest. As positive dog trainers, we need to be at the top of our game in order to effectively educate owners and train dogs. Many positive dog trainers have heard that our style of training takes longer than other methods. I don’t think I’m the most skilled trainer around, but I’ve found, and the science supports it, that positive reinforcement training, applied thoughtfully and with skill, has long lasting, quick results with no fallout behaviourally to the dog. “The ends justifies the means” mentality can cause serious problems. If the ends are most important, is it ok for me to cheat in an exam in order to pass? Is it ok for our police and prosecuters to falsify evidence in order to secure convictions? In my previous job, there was an increasingly invasive attitude of pointing out the failings of others in order to secure promotions and career advancement. Is this ok as long as we get that promotion? The same too in dog training. However, if we focus more on the means, do we forget about the results? I recently spoke to California based trainer Kelly Dunbar. She says there is an increasing philosophy within the positive dog training community that the means are the most important. I think this may lead to us excusing poor training or lack of knowledge. We need to be able to do both and have the skill and knowledge to do it quickly, effectively and impart that knowledge on the client in a manner they both understand and can apply. This is no mean feat. Lastly, we need to take the outcome seriously as well. I was at a Kay Laurence seminar a few years ago. She said she had seen a previously dog reactive dog who had been clicker trained to stand still while being sniffed by other dogs. Kay wasn’t overly impressed by this to say the least. Even though the dog had not been trained using aversive training tools or methods, I’d argue that the result was hugely aversive to the dog. In this case even though the means were non aversive, the results were. By being more thoughtful in our training plan, a better option may have been to start listening to what the dog was trying to tell us in the first place through the aggressive behaviour and teach the dog better options to manage their own behaviour either by moving away or approaching calmly. If we are to succeed in educating dogs and dog owners we must take all of this and more into account. We must keep learning and applying what we know thoughtfully and seek outtrainers and like minded people who can help us.